Exclusive interview with Tanishq Abraham. 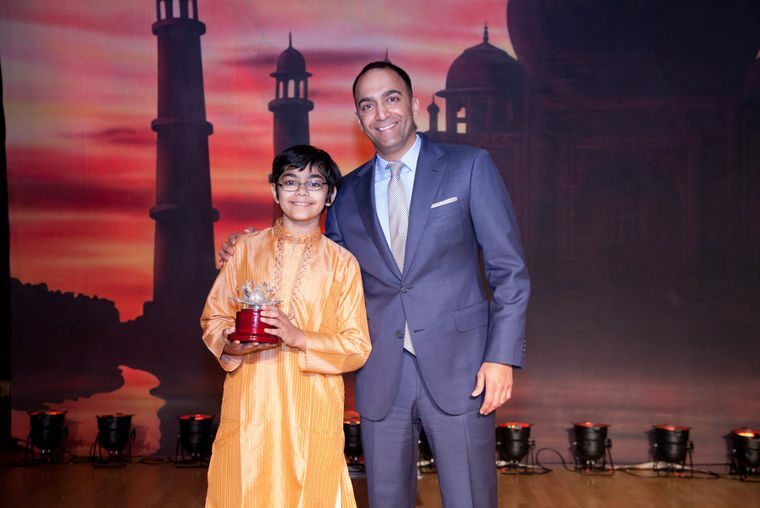 Tanishq Abraham with San Francisco 49ers President Paraag Marathe at an event last October, where the Indian Community in the Bay Area honored the prodigy for his brilliance and for his vision of serving humanity. 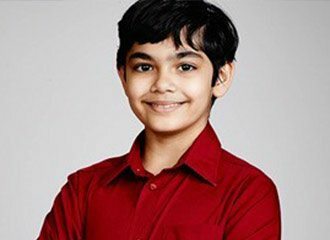 WASHINGTON, DC: Child prodigy Tanishq Mathew Abraham, 11, may have exited the “Child Genius” reality show — a Lifetime docu-series centering on some of America’s most gifted children — but he created quite an impact. 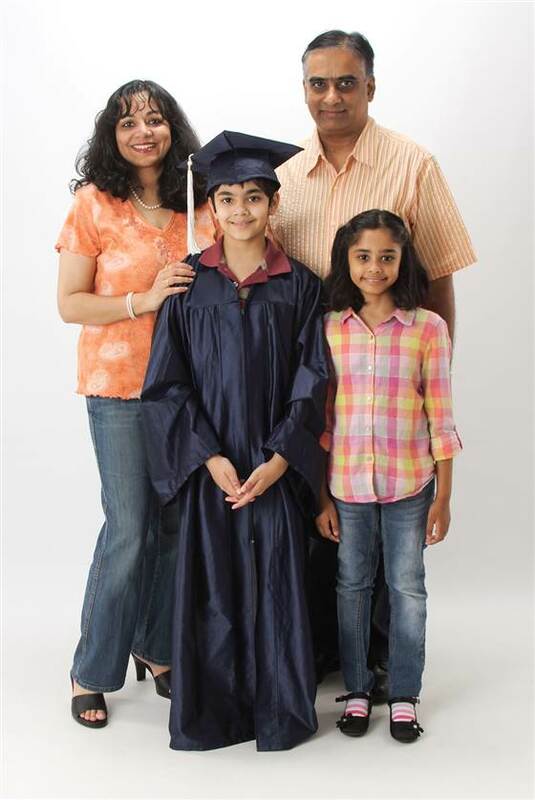 Tanishq’s younger sister, Tiara Thankam Abraham, 9, became a member of Mensa at 4 years old in 2010, according to Wikipedia. The two became the youngest siblings to join the high-IQ society. 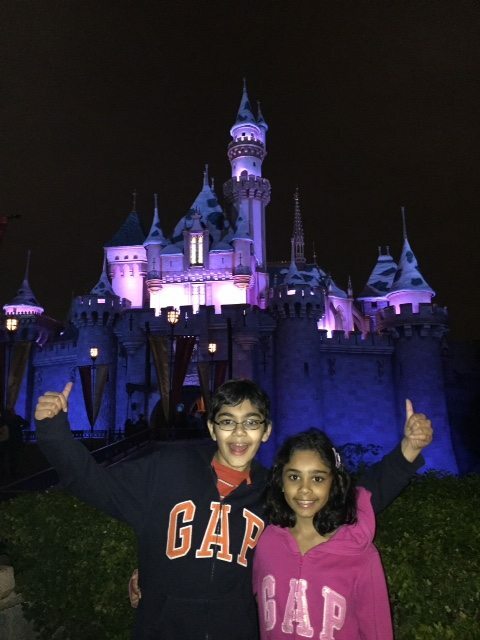 Tanishq and Tiara are the youngest South Asian-origin children to join Mensa and among the youngest Americans in Mensa. To join Mensa, one needs to score in or above the 98 percentile on a Mensa-approved standardized IQ test. Tanishq scored 99.9 percentile and Tiara scored 99 percentile on the test. In June 2014, he graduated high school. The duo were born in Sacramento, California, to Bijou Abraham, a software engineer, and his wife Dr. Taji Abraham, a doctor of veterinary medicine. At four months, Tanishq would flip the pages of children’s story books and could answer questions on the stories and events in the books. At five years old, it took him fewer than six months to complete the math courses offered by Stanford University’s Education Program for Gifted Youth (EPGY) in five grades (kindergarten to 4th grade). At six, he took online high school and college level classes in subjects such as chemistry, paleontology, biology, and geology. His prodigious talent became even more evident when, at seven years old, he enrolled at American River College and completed courses in Geology and Astronomy, earning As in both courses and emerging as the top student in both classes. He was the youngest student ever to enroll in on-campus graded courses at the college. What are you currently focusing your attention and efforts on? Right now I’m working on being a doctor. I’m focusing on biology and want to get a bioengineering degree for my bachelor’s. I’m trying to do both fields, but right now I’m focusing mainly on biology and medicine. Has biology and medicine been your favorite fields to study thus far or is their other subject matter that interest you? I’m interested in many different sciences. When I started out I was interested in geology and astronomy, then I started getting into biology, and right now I’m getting into physics and quantum mechanics. It’s kind of varied; I try to learn as much as I can about each field. If I find something that interests me, maybe on the news, I try to learn as much as I can about it. Once you’ve identified the topics that interest you, how do you pursue them? What are your avenues for research? I try to read and absorb as much as I can. Right now I’m studying quantum mechanics and surprisingly I’m really into [it]. For quantum mechanics, I read a book on it, and I’m starting to research more about it. Before quantum mechanics I was studying classical mechanics and I was also interested in immunology — my mom had a book on that. I like to get in touch with scientists too and learn from them. There’s different ways I learn, I like to learn online, and reading books, and talking to professors. Aside from learning, what do you like to do for fun? Of course, I like to play. I like to play the Wii with my sister. In the middle of the semester it can get pretty busy, but when I do have time I usually play with my sister and we make up games. What’s your favorite game on the Wii? We like to play Mario Kart. It’s our favorite game, we like the racing — it’s fun. How do your friends generally react to your notoriety and drive to learn? My friends are fine with it and sometimes kids hear about me and that’s how they become my friends! They like being friends with someone who’s — I guess — well known. There are some other kids who aren’t like that, but most of my friends are fine with it and interested in what I do. What is it like attending college at your age? By now I’m used to it. It’s something I’ve been doing for a long time — I started when I was seven year old. When I started college I wasn’t really nervous, so I didn’t really care about other students — I wasn’t intimidated, nervous, none of that. Also, students started to get used to me and every semester, there are people who are wondering, “What is this child doing in this class?” And then after some time they start to get used to it. Sometimes they ask me for help and they like to ask me questions if they’re having problems and we talk to each other and stuff. Do you think U.S. educational system need to focus more on STEM? Yeah, you know, I want to be president and one of my goals is to make the educational system better. I think we should focus more on STEM — or now, it’s called STEAM for science, technology, engineering, arts, and mathematics. I support that and I believe the fields of science and technology are important for succeeding. Everything around you has to do with these fields — everything you do is related to science and everything we have is related to science. Everything we have is made from engineering and of course math. So if people want to be successful and help the world and be successful it’s important that they learn about these fields. You mentioned that you want to be president. Until then, what would you like to do vocationally when you’re older? Of course, to be president you need to be 35-years old. Before I run for president I’ll go into medicine. You mentioned research, specifically. Do you know which field? I’d like to do research and also have a practice. I want to pursue both, but first I want to get my PhD. I really want to do an M.D.-PhD program so I can get [them] at the same time but we’ll see schools accept me into medical program because I may be young — but I hope to get my M.D. and PhD at the same time. But we’ll see. Your younger sister is also considered a genius and became a member of Mensa at age four. Are you two competitive at all? No, we’re not competitive. We help each other. When I didn’t have so many courses to take we took Spanish together … we used to help each other and learn with each other. You’ve recently began dabbling in “show biz,” even appearing on Conan. Are you enjoying that facet of fame? On Conan I got to meet one of the Big Bang Theory actors and I really like [that show] and it’d be really nice if I was [on it]. If you had to choose a one scientist as role model, who would it be? Good question! I like a lot of different scientists because I’m into all the fields. So — I do like biologists and physicists. Of course there’s Einstein — but there are so many scientists who stick out. Even though [Einstein] didn’t [initially] know so much about physics, he learned about it, and he started working on his theory of relativity. He’s inspirational.